With summer time comes Vacation Bible School! 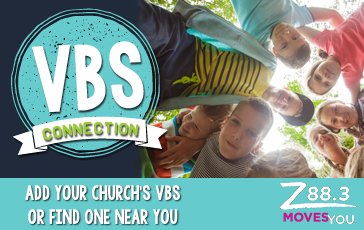 If you have kids, you can check out the Z88.3 VBS Connection below to find a local church in your neighborhood that is offering Vacation Bible School. **If you are a church or VBS Director for your church, please fill out the VBS Connection form. This will allow us to post the information about your VBS including registration information in our VBS Connection resource list.